Control the turf with soccer shoes designed and built by Puma specifically to aid a variety of play styles on artificial grass fields. Find the Puma turf shoes to best complement your game in our large online selection. Puma and soccerloco both have histories of providing customers with top quality gear and apparel to help them get the most out of their game; these turf shoes are no different. We have some of the best models, like the evoSPEED line of Puma turf soccer shoes, built to make your fast game faster. 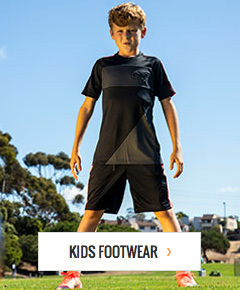 At soccerloco you’ll find styles for men and women and for players of all ages. Shop online at soccerloco today for the Puma turf cleats that are right for you and your game. At soccerloco, we have Puma turf shoes featuring the best materials and design elements to improve your game. Puma’s speedCELL technology, which flexes where it needs to and features a reinforced cage around the foot, makes an appearance in many of the evoSPEED cleats offered in our online store. Lightweight and flexible synthetic leather on the upper of some of the Puma turf cleats doesn’t hold you down when you need to jet across the field to make the play. Shop online at soccerloco to get the Puma turf soccer shoes you need to prepare yourself for the games you play on the artificial grass. Take advantage of our large selection and excellent prices when looking for quality footwear for the turf. At soccerloco, we bring you additional savings on Puma turf shoes through frequent discounts and flat rate shipping to anywhere in the continental United States. As the leading online retailer of soccer gear and apparel, soccerloco wants to make sure you can get the Puma turf soccer shoes you want at the best possible prices and with hassle free returns. We have turf shoes to enhance a variety of play styles of players young and old alike. Shop today at soccerloco to get yourself a pair of Puma turf cleats to dominate the artificial grass.